Museum of World Treasures: Well, shiver me timbers and sharpen me sword! No, no one really dies! 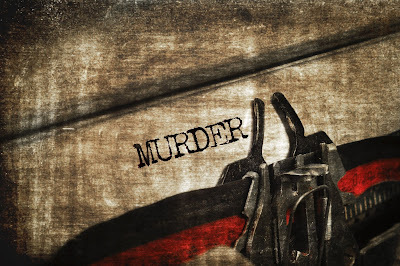 Murder mystery events are highly interactive parties, generally dinner parties, that focus on group problem solving to determine which guest was "murdered" and who the "murderer" is among the group. Some events use actors for those roles, though an alternative is to secretly brief select party-goers beforehand about their roles as murdered and murderer. These parties can be likened to a real life version of the game "Clue". Often an extravagant theme setting is used to add extra flair to the event. Two of Museum of World Treasures' previous Murder at the Museum events have had a 1920s theme and a late 1800s saloon theme. Our upcoming event features a pirate theme which will lead to some very interesting drama! We strongly recommend wearing a costume to add to the immersive feel. Need ideas for what to wear? Check out our Pinterest board for ideas. Or, contact Foggy Bottom here in Wichita and let them know you plan on attending for great costume advice or purchase. 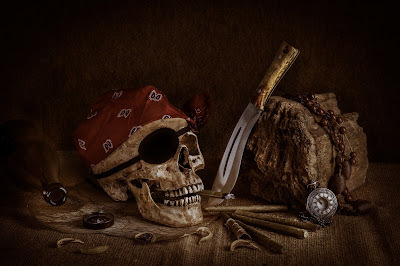 On November 12, the Museum will be hosting Murder at the Museum: Murder Among the Mateys! We are excited to bring back this staff favorite! Included with admission price is a buffet style dinner, interactive games, entertainment, and (of course) a cash bar - so bring your plunder and not your plastic! 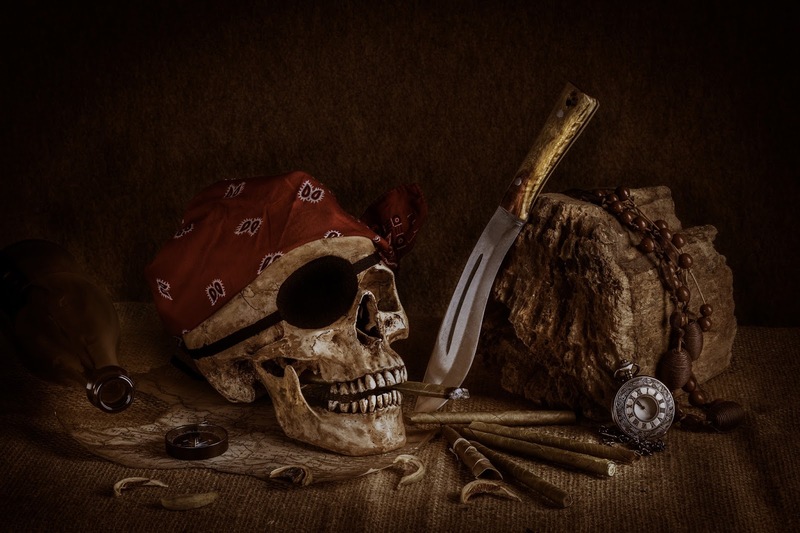 Check out some of these staff picks for movies to get you in the mood and fuel your pirate fire: Treasure Island, Pirates of Penzance, Pirates of the Caribbean, Blackbeard The Pirate, Goonies, or a favorite alternative pirate movie we haven’t thought of! For more details about Murder at the Museum, check out our Facebook event page as well as our website and daily posts on Facebook, Twitter, and Instagram. Ticket sales will begin September 5 through Eventbrite.com. Get into the pirate mood by attending our Pirates on the Patio event from 11:00 a.m. - 3:00 p.m. on Saturday, September 17. For more information on Pirates on the Patio, see our Facebook event page.